Grand Solmar Vacation Club With white, sandy beaches, incredible vistas and an unbeatable location, Grand Solmar Vacation Club is the perfect place for couples to tie the knot this Winter. Cabo San Lucas, Mexico – offers the perfect blend of romance, tropical appeal, and elegance for a wedding no matter what time of the year it is. Especially in the winter, however, couples from around the world make their way to the white, sandy beaches of Cabo San Lucas to begin their lives together at this one-of-a-kind resort. Besides all of the natural beauty that this ocean-side location offers. Our resort has several top-notch venues to offer those looking to have their dream wedding experience. With offerings both indoors and outdoors, couples are sure to find what they’re looking for. From the intimate beach setting that has room for up to 50 people to the Kiosko& Garden that has room for up to 200 people, there is a venue to meet any need. From the rehearsal dinner to the wedding ceremony and the wedding reception to any other event that the couple might want to host, the experts at our wedding planning center will plan out each detail. Only provide them with your vision, and they will make it a reality. Wedding reception and wedding ceremony packages can even include live musicians, photographers, videographers, fire dancers, fireworks, souvenirs for the guests and much, much more. 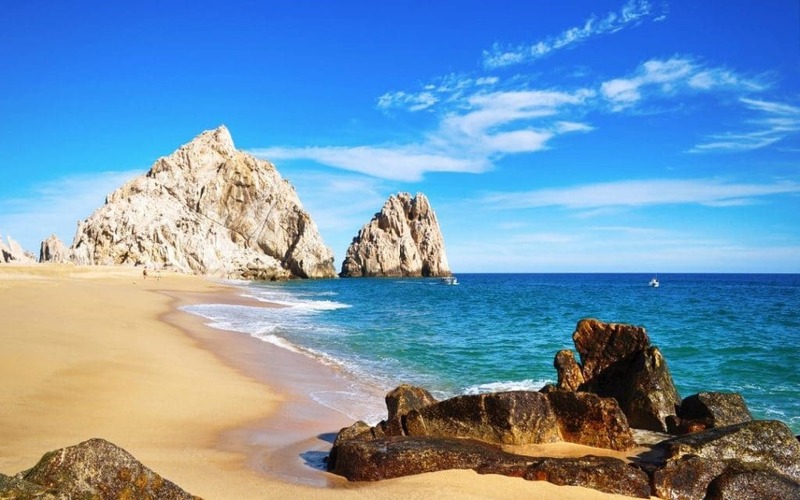 With so much to see and do in Cabo, there will be no shortage of activities for the newlyweds to enjoy. With some of the most well-known and luxurious retailers in the world have storefronts in the Golden Zone of the Marina. Additionally, there are many different types of restaurants to indulge in, including Asian, Mexican, American and more. Grand Solmar Vacation Club is also the perfect venue for vow renewals, honeymoons, and any other romantic occasion. With the sun setting behind the waves and the warm sea breeze caressing the couple, it is hard not to feel like everyone involved is experiencing a magical moment.